Not long to go now before the start of Festival 2018 and the Merchant City Festival. This is a programme of cultural events which are supporting the European Championships. 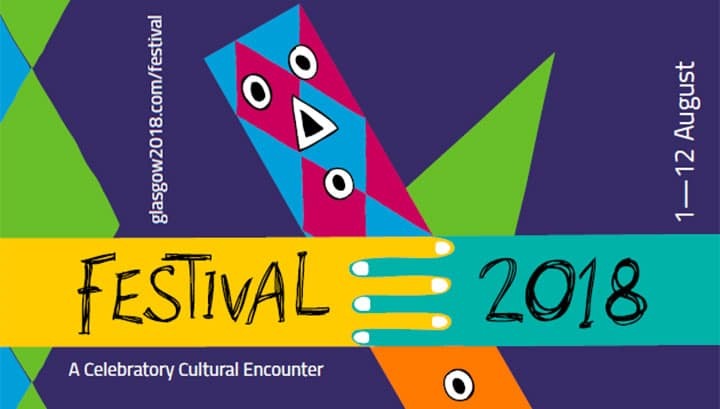 If you follow this link it will take you to the festival programme in which you can see all the events that will happen in the City Centre and beyond, creating a sense of carnival in the city. It is really important that the ‘City’ hosts the event. The City Centre is a fantastic backdrop, from food and retail to hidden treasures like Mackintosh’s Daily Record building in Renfield Lane, from the newly refurbished Mackintosh at the Willow to The Lighthouse in Mitchell Lane or GOMA in Royal Exchange Square. The programme is based around George Square, the Merchant City, Tontine Lane, Glasgow Green, but crucially extends across the whole city and it all starts on the 1 August 2018. Applications are now invited for Glasgow City Council’s Stalled Space Programme 2018-19. 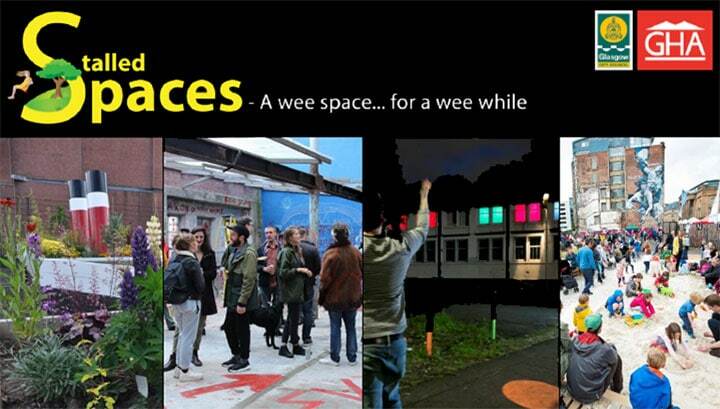 Community groups or local organisations across Glasgow are encouraged to apply for innovative projects aimed at improving and activating stalled sites or underused open spaces in the city. We are looking for projects that are socially engaged that can breathe life into these stalled spaces and create a positive impact on the area. Closing date for applications is Monday 27 August 2018 by 5 pm. Glasgow City Council recently approved the City Centre Lane Strategy and as part of this has just launched the Pilot City Centre Lane Activation Fund. Any city experience it is defined by the gap between the best and the more challenging bits. In fact, this applies to almost anything, customer service is only remembered if it is really good or short of expectations. The challenge for any city is to continue to find the resources to deliver flagship buildings and experiences while trying to find ways to help people think differently about City Centre spaces and about the connections between spaces. This applies to what they could be used for and how they could look. In that sense, it is about encouraging people to think of them and use them as part of the heritage and culture of Glasgow City Centre. Lanes are a great example of this. 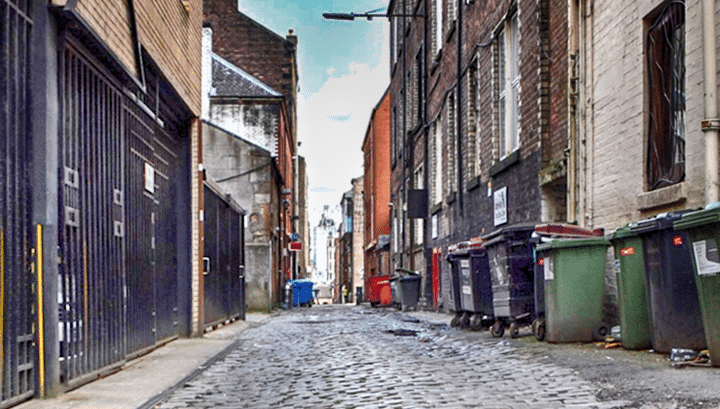 Glasgow has lanes which are attractions in their own right and give both the people of Glasgow and visitors the sense of something discovered, something reclaimed. While the City Centre Lane strategy has identified seven target lanes on which the Council will work to encourage owners and other stakeholders it is also seen as really important to have a fund that people could apply to so they can help focus on their own ideas and priorities. The scale of the funding available means that the fund is not intended to ‘fix’ lanes. Rather, it is intended to get people to use them by supporting different types of events and projects. We have lanes that are sited in the heart of the City Centre which could bring daytime audiences to the centre or create quiet spaces. We have residential lanes which could be real assets for their communities. Each lane has three principal stakeholders: the owners, the occupiers (be that businesses or communities) and artists or those from the creative industries. While full guidance is available at https://www.glasgow.gov.uk/laneactivation a minimum of two of the three groups need to come together to apply. The level of funding (maximum award is £5k) means that the fund will not provide all the answers, nor is it really intended to. What it will do is make a start and in conjunction with the other parts of the City Centre Lane Strategy, the objective is to persuade everyone that lanes are an asset for businesses, communities, artists and the owners. The return on investment for each of these groups will be quite different, but if the Fund and the Strategy are going to succeed they need to make this return obvious, especially commercially. The idea of return is important as the vast majority of lanes in the City Centre are privately owned. As always it is the energy and inventiveness of people which will come up with the ideas needed to help develop this idea of place and close the gap between the best and the challenging. 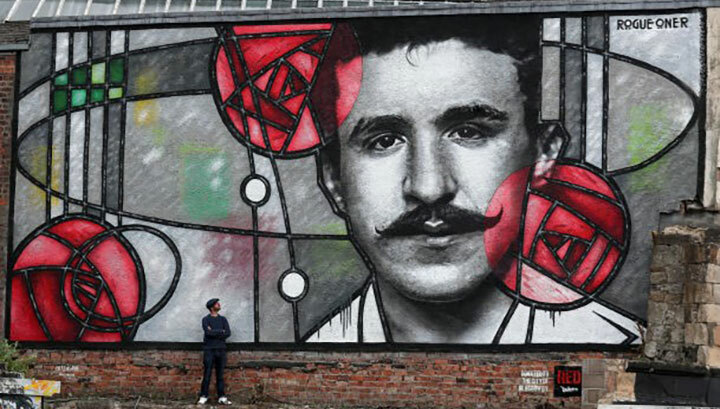 A new Charles Rennie Mackintosh mural has been unveiled to mark the 150th anniversary of the legendary architect’s birth. Created by Art Pistol and Glasgow graffiti artist Rogue-One, the tribute can be found on the banks of the Clyde at the Clutha Bar. Rogue-One is renowned for his photo-realistic style and is behind a number of artworks in Glasgow including the Mitchell Street’s floating taxi – which you can find in the City Centre’s Mural Trail. The mural was commissioned by hotel chain Radisson Red as “a gift to the city” and features a portrait of Mackintosh looking through a stained glass window featuring some of his well know rose designs. Painted on a 60ft by 40ft wall overlooking the city’s Clutha bar, the mural is a fitting tribute to one of the world’s most influential creative figures.